Please go to http://openbudget.ny.gov/spendingForm.html and tell everyone what you think. For example, sort on 2015-2016 Estimates "descending". You will see that the top value is 991 which means that the project with the highest estimate is $991,000 which is clearly not true because there are entries for $31 Billion. This is simply a bug in the sorting. 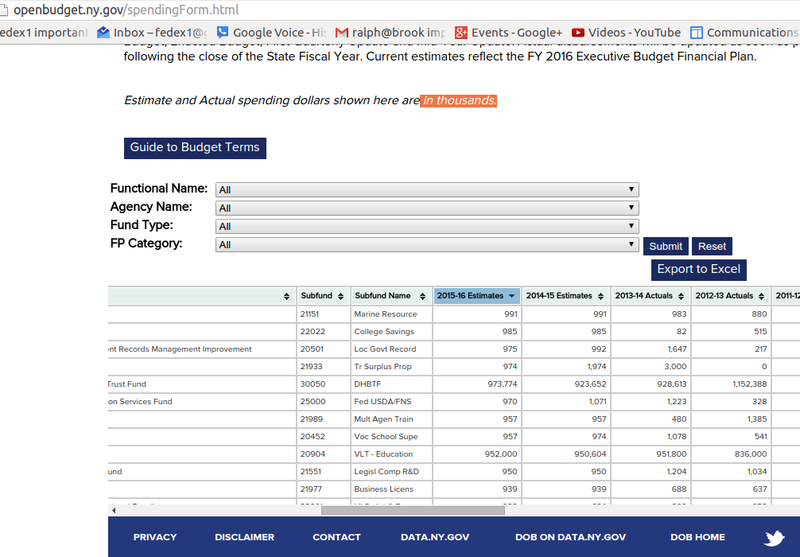 Our NYS openbudget.ny.gov site is sorting based on alphabetic sorting. 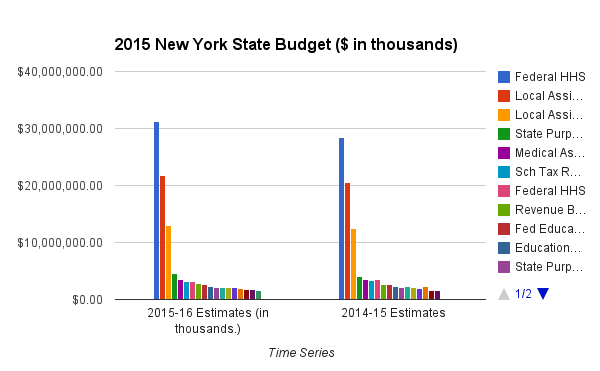 Yes 9 is after 3, but $31 Billion is greater than $991 K.
This is really a shame that our openbudget.ny.gov is so filled with bugs. Where are the details for all of the numbers? Where is the process for oversight and the application for the budget categories? Where is the referendum vote for each of these items? Yes this sorts $991K as larger than $31Billion Oy Vey! this is a disgrace! Does anyone actually read or review our NYS Laws?